Blogging is a medium that seemingly enjoys continuing popularity, offering people from all professional arena the opportunity to share their thoughts, opinions, skills, and knowledge at the click of a link. Even with the upsurge of video, blogging maintains kudos – with videos being referred to as ‘vlogs’ – effectively a video blog. Blogging serves a multitude of purpose – from promoting services, to establishing a brand, to enabling budding authors to begin to craft their work and put it ‘out there’ in bite size pieces. The beauty is that becoming a blogger is relatively simple with the range of pre-set, pre-packaged blog sites available online. For aspiring bloggers, these sites enable the process from typing a blog in a word document and uploading to the site, or typing straight into the site and hitting the ‘publish’ button. It really is that simple. I type many of my blog posts on my IPad, literally enabling me to blog on the go. This simplicity makes it possible for me to be able to blog around a busy lifestyle. To make it even more simple, here are seven things to consider, when embarking on your blogging journey. 1) Discover your blogging voice. Blogging is a learning process and it is imperative that you find your blogging ‘voice’. But the question is, what is the intended tone? This can range from academic and authoritarian, through to informal and conversational. The key is to be consistent with the subject matter you’re writing about and to reflect your own tone. 2) Blog about what you know. Blogging is a bit like keeping a public diary, so is a reflection of your life (or at least the things, people, subjects that are important to you). Blogging really does not have to be a chore and is less likely to feel that way, if the blog comes naturally to you. For many of us, the audience is also our target market, so if you’ve been following DJ’s teachings, you’ll know already how important it is to understand your market. Knowing your market enables you to ‘speak into the lives’ of others and ensures that your blogs are relevant and add value. 4) Mind your p’s and q’s. If you know your audience, you will know the language they speak. There is a bit of a trend in some markets right now, for using ‘shock’ language, incorporating some profanity. Now…. that isn’t for me BUT there clearly is an appeal for some people. The important thing, when ‘speaking into the lives’ of your audience, is that you use language that appeals. Ideally your own voice will already be appealing to your readers, thus reinforcing the first point. As a ‘typo-fiend’, I cannot stress this enough. Using good grammar is essential. Knowing your ‘too’ from your ‘to’ or your ‘two’….is necessary. Knowing which ‘there’ or ‘their’ or ‘they’re’ to use…. is imperative. Confused over ‘your’ use of ‘you’re’? Then please, I implore you to commission a proof reader. If your aim is to present a professional image, you need to do just that. Proper use of grammar can mean the difference between people reading on, or switching off. 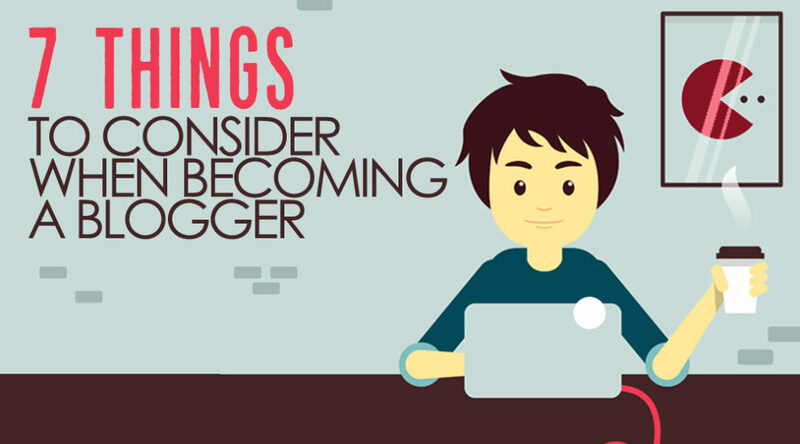 6) Join a blogging group. A great one is the Facebook group, ‘The 30 day blogging challenge’, set up by Sarah Arrow. Upon joining, you’ll receive priceless guidance in your inbox everyday and you’ll also gain exposure for your blogs (thousands of people), at the same time as being part of an accountability group that encourages you to develop good blogging habits over thirty days. Many people do it more than once, others––like me, dip in and out of the challenge. It’s sincerely a valuable process that I highly recommend. Learn more here. 7) Commission someone to blog for you. Let’s be clear…blogging is writing…and writing does not come easily to everyone. Furthermore, it may not be a time priority for everyone. However, this does not diminish the value or role of blogging. In terms of promoting services, or an event, or a forthcoming book, a blog can be a key promotional tool. As long as the person you commission can understand your audience, can tune into your voice and can write with authority about your area of expertise, having a ‘ghost blogger’ can be a lucrative step. For writing blog copy and for proof reading your blogs, why not speak to me, at ‘ConsultaChameleon’? One of my specialities is in collaborating with you, to produce blogs that reflect your brand, whether on an ongoing basis – with regular 250-300 word blogs – or an ‘Authority Blog’ article, generally 1000-1500 words in length. Joanna Oliver, BA MA, is a seasoned leader, coach and mentor, an International speaker and author, with two decades professional experience in training, lecturing and research. Joanna's specific area of expertise is in personal and professional development, with key skills in helping people manage transition in their lives. Joanna has exceptional copy writing skills, writing articles, blogs and web copy for a range of clients and also proof reading and editing manuscripts, including a 2015 award winning book. Joanna is also a mum of three children and is committed to people living a purposeful life, where each can grow their colours and be who they are. Joanna, how do I join a blogging group please?